"The most realistic is to think that I can win Milan-San Remo and the Tour of Flanders because I have already done it before but I have finished in the top ten in the velodrome twice." 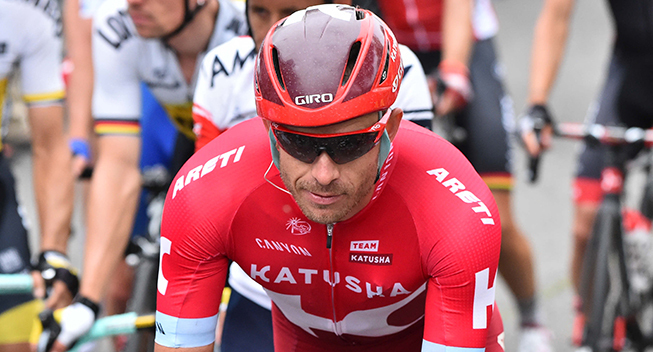 Despite thirteen wis in 2016, Alexander Kristoff cannot be satisfied with his season. The Norwegian failed to lift his arms in a WorldTour race which tarnishes his balance sheet. In 2017, the Katusha classics leader has set big goals to match his ambitions. In an interview with Ciclo21, Kristoff does not hide his huge desire to return to his best and admits to want to have good from the beginning of the season. "Winning a monument in the first part of the season would make me happy," he said. "I think of Milan-San Remo and the Tour of Flanders, which is where I have the most chances to succeed." He already won the two monuments in 2014 and 2015 respectively and he now also plans to shine in another event, Paris-Roubaix, a race he dreams of winning one day. "If I could ask for something, it would be to win Paris-Roubaix, so I would have all three on my palmares. Is that realistic? The most realistic is to think that I can win Milan-San Remo and the Tour of Flanders because I have already done it before but I have finished in the top ten in the velodrome twice . It is true that I never really fought for the victory but it cannot be said that it is impossible." After the classics, the Norwegian will have two big objectives. The first will be to get another victory at the Tour de France where he hasn't won since 2014 in Nimes. A win and consistency could allow him to be in the fight for the green jersey although he suggests that Peter Sagan is untouchable. A stage win in France would allow him to build confidence less than three months before the World Championships that will take place in his home country, in the city of Bergen. "It's still a long way off, but it's a good race for me ... but also for other riders." In Bergen, Kristoff will also have to agree with his compatriot Edvald Boasson Hagen, something that may be difficult after the two riders clashed at the 2016 Worlds in Doha.